Discussion in 'General' started by X-human, Apr 20, 2017. Thomas Lennon and Udo Kier will star in “Puppet Master: The Littlest Reich,” a new take on the durable horror franchise. The Cinestate production begins principal photography in Dallas [end of March]. Jenny Pellicer, Nelson Franklin, Charlyne Yi, Alex Beh, Barbara Crampton, Tina Parker, Skeeta Jenkins and Michael Pare are also starring. Sonny Laguna and Tommy Wiklund (“Wither”) will direct from a script written by “Bone Tomahawk” screenwriter S. Craig Zahler. Charles Band (the original franchise producer) is executive producing. 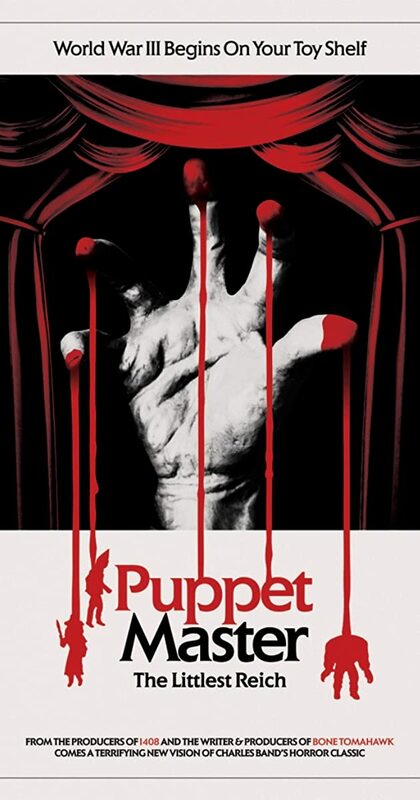 “Puppet Master: The Little Reich” centers on a recently divorced young man discovers a mint condition Blade doll in his deceased brother’s closet and plans to sell the toy at a convention in Texas celebrating the 30th anniversary of the infamous Toulon Murders. All hell breaks loose at during the auction when a strange force animates all of the various puppets throughout the convention as they go on a bloody killing spree. A real production? With Udo Kier and Barbara Crampton? With a theatrical release? 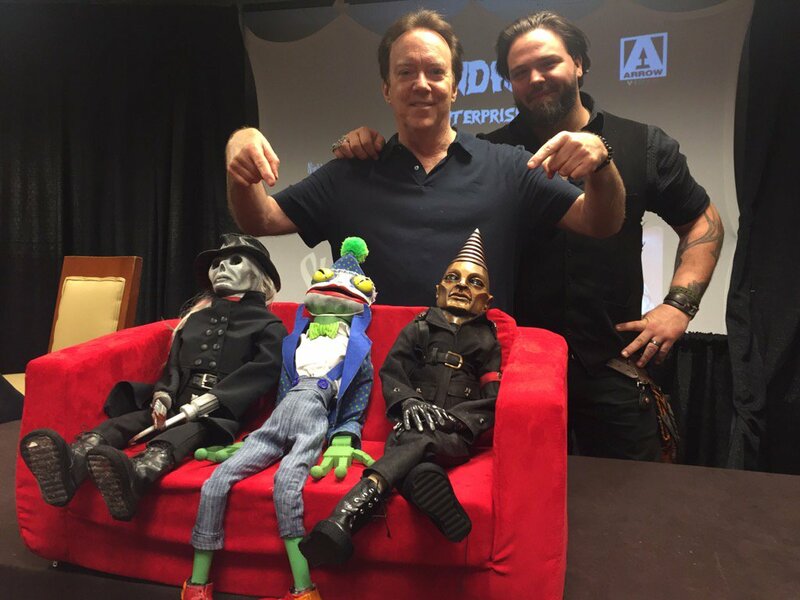 And does that mean Puppet Master: Axis Termination got shelved? othervoice1 and Zombie Dude like this. Axis Termination is still scheduled for August. This is awesome news that it's going theatrical (something the first film was intended to go to). My expectations are still pretty low at this point seeing as the Puppet Master films haven't been that good for a while now. I do have hopes that this will surprise me as I'd love to see another good PM film. I'm hoping they get the looks of the puppets right as characters like Blade have looked off in the recent ones when compared to the original films. What's Full Moons involvement here? If they have little to do with it then my expectations are on the rise. Don't get your hopes to high, the director's have only done terrible ultra low budget movies so far, with crappy scripts and horrible acting. "Wither" had some cool practical FX, but the rest was a mess. Maybe they will finally be able to make something watchable this time, but I'm not expecting much. Hrm, that is disconcerting. So do we want the devil we know with Charles Band in total control or if these new investors want something completely different like we got with Leprechaun: Origins which had enough production value to do something good but was a total waste of time? The cool practical FX in Wither sounds promising. At the very least that's what a good PM needs. It'll be good to get some closure on the Axis trilogy (hopefully it will be. Seems like the reboot's wheels were in motion for a year now. So Band should have been ready to.). Can't say it's particularly what I want it to be but something's better than nothing. It sounds like it might be promising... but I really wish they'd stray away from the constant WWII/Nazi angle to the story. That has been done to death in the series by now... just take it in a new direction. *cries a little inside* Well these are some of the new designs as well as a new puppet...I can't say I like what I'm seeing. There's nothing wrong with the original designs in my opinion and I was hoping they'd used those. These new puppets also look quite large which I'm not a fan of either. othervoice1 and Katatonia like this. Blade looks horrible. It's like they are trying to make his face look like Michael Myers now or something! The second one just looks stupid IMO. Tunneler does look okay I guess... but I agree these just look too large. Dobby, othervoice1 and Zombie Dude like this. Blade looks horrible. It's like they are trying to make him his face look like Michael Myers now or something! Yeah I'm really not happy with what I'm seeing so far. I feel like they're going for some sort of skull look for Blade (his nose anyway) and I'm not digging it. The original design is beautiful and a real classic IMO. Nailwraps, othervoice1 and Katatonia like this. What the hell is that new puppet? Just looks out of context with the rest. I agree. Way too colourful and childish looking next to the others. Also, I think it's some sort of clown-frog because why not I guess? The frog is just to be a realistic toy from a puppet show. I wouldn't put a lot of weight on that. But yeah Blade's face is trying too hard to be a skull. The original design was done just right so that it gave a subtler impression of the skull while being something more. And the longer hair reminds me more of douche bags than anything threatening. But it's hard to give a final judgement on a few amateur shots at a convention. For example, are we looking at stunt puppets which are usually rubber designed to be more durable and not suitable for close ups? I missed the live stream and they didn't keep an archive up so did anyone catch it? What did Chuck have to say? There was no need to change them I agree. I'm sorry Reich crew, I know you meant well but we prefer the original designs. Many of you already know that Full Moon's most famous franchise - PUPPET MASTER - has been re-imagined as a brand new, lean and mean thriller called PUPPET MASTER THE LITTLEST REICH. While not part of the original Full Moon PUPPET MASTER canon, our own Charles Band serves as executive producer on the remake and it was written by S. Craig Zahler and produced by Dallas Sonnier, the team behind acclaimed shockers BONE TOMAHAWK and BRAWL IN CELL BLOCK 99. Sweet pedigree, indeed! The filmmakers and select members of the cast will also be at Monsterpalooza (April 15th) this weekend, rocking out a live, intimate and interactive panel presentation. Cast members Thomas Lennon, Jenny Pellicer, Full Moon legend Barbara Crampton (who also had a cameo in the original film), and Michael Pare will be speaking on the panel as well as puppet & gore effects designer Tate Steinsiek, Editor-in-Chief of FANGORIA Phil Nobile, CEO of Cinestate and newly minted publisher of the re-born FANGORIA Magazine, Dallas Sonnier and Charles Band. 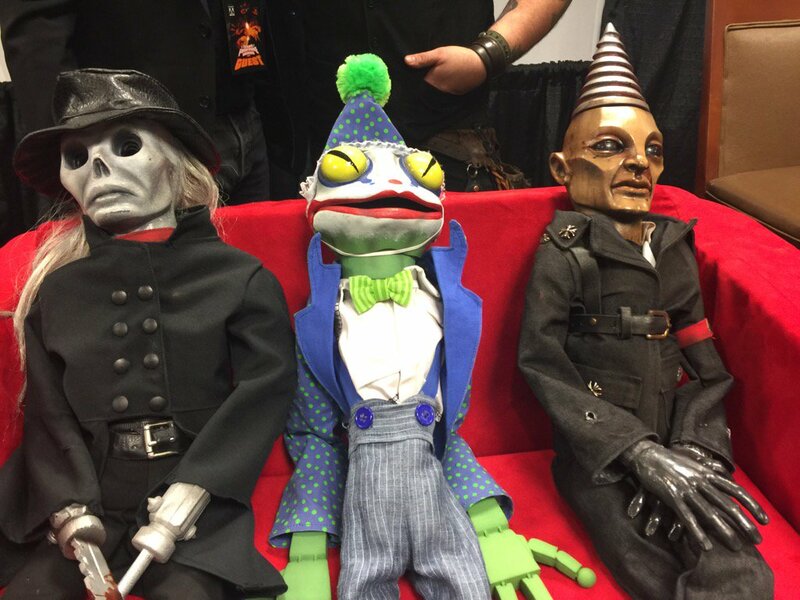 Attendees will also get an exclusive look at a scene from PUPPET MASTER: THE LITTLEST REICH and see this new pack of murderous marionettes in action! AND we'll be dropping an EXCLUSIVE announcement at the panel that will TOTALLY freak you out! PUPPET MASTER: THE LITTLEST REICH will have its world premiere at the Overlook Film Festival on Friday, April 20th in New Orleans. Craig Zahler's involvement has me very interested.